Earn $12.49 in Rewards credit. Click to learn more. Not much has changed with Ortlieb's Velocity Backpack over the years, and that's because nothing needs to. 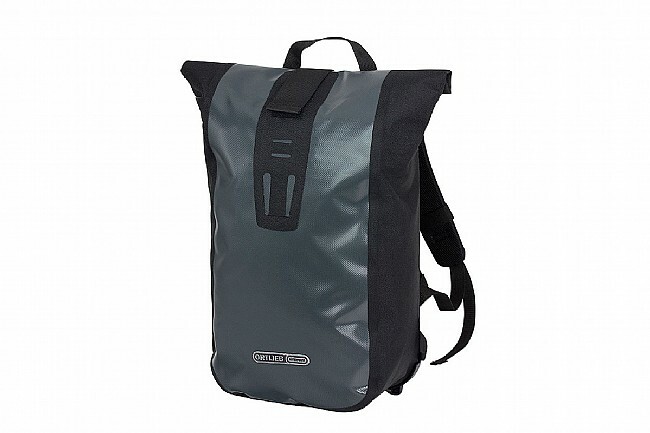 This simple and rugged pack is made with PVC-coated polyester and Cordura fabrics to give it that signature Ortlieb tarpaulin exterior and renowned waterproofness. 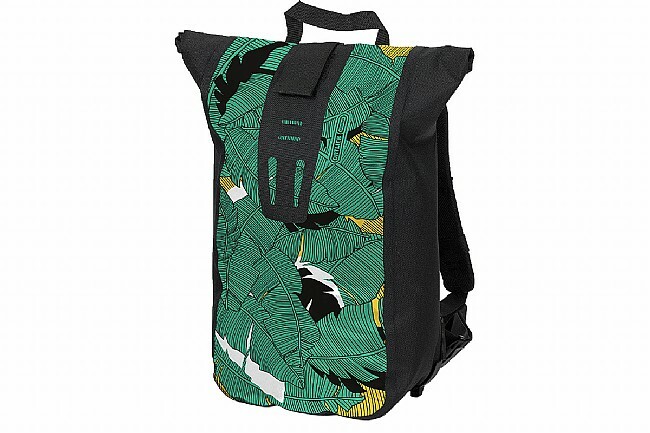 Perfect as a commuter and traveling pack, the Ortlieb Velocity features a padded back with ventilation channels, and it's reinforced with a semi-rigid backing to help the pack keep its shape. Inside, you'll find that 20 liters of unencumbered cargo space is plenty to fit anything you might need, and an internal snap-in organizer pouch contains a zippered pocket for securing items, plus two smaller pockets to keep essentials from getting buried at the bottom. 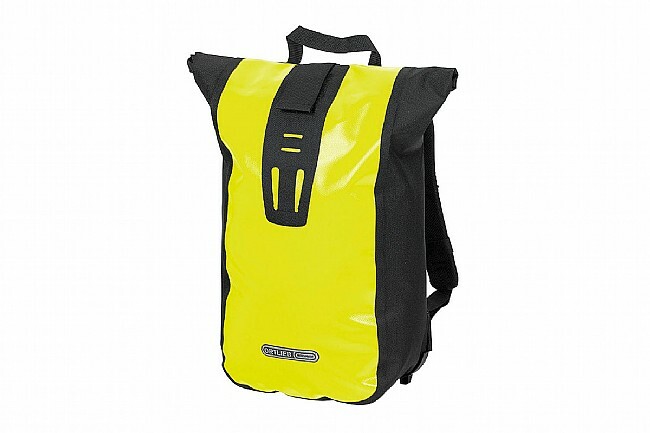 Reflective accents can be found on both the front and back of this bag, but for extra visibility there are attachments for an optional bike light or helmet storage on the back of the pack. 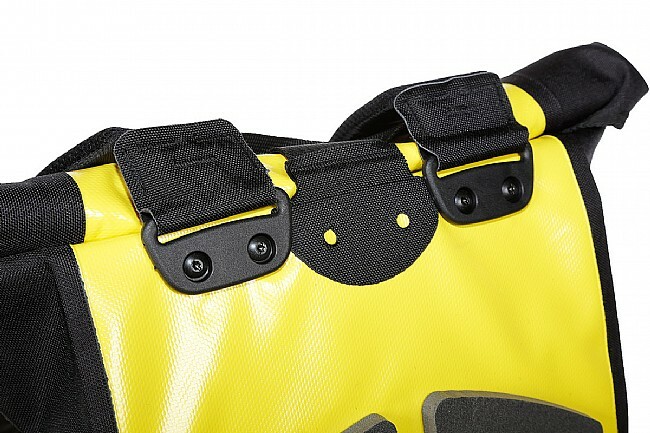 Once loaded up, the Velocity can cinch down for a secure fit using the wide waist strap plus adjustable sternum strap, and when properly rolled and Velcro'd shut, you can be sure your contents will be perfectly dry no matter what the weather with this bag's IP64 waterproofness rating. 20 L capacity. Claimed weight is 1010 g. Available in multiple colors. This bag rules! Chest strap and waist strap make cycling a breeze. Ill put d-locks, heavy chains, and what ever with no trouble. The little insert keeps my phone, keys, tool and wallet separate and there's tons of space. Back stays well ventilated and thunder storms can't get your things wet. Perfect bag for me, at a steal of a price. 2. Fastening mechanism (Dude, how do you not get this right? Just velcro? You need to have a latch or something to make sure it closes securely. I am not impressed with the cheap mechanism (a velcro strap) as the primary tool to close my bag. 3. Inside pouch should be larger or at least should have more options for things like a laptop. This bag can hold a lot, but it is hard to organize anything because there is not even an option to buy an add on to organize say a laptop in the back and lunch in the front. Great product. 100% waterproof. Would love to have a key ring inside the bag though. I echo the comment of another reviewer about both the velcro closure not being reliable after a brief period of time and it would be nice to have a bit more of an organizer in it. From a durability standpoint this thing is bullet proof. If found the strap buckles to be fragile and have replaced the larger lower ones. I love the upper and lower cross straps. I ride 150 miles week commuting and I use this bag daily and have been for about 4-5 years and my only real complaint is the velcro is not reliable anymore. Well constructed, high quality bag! 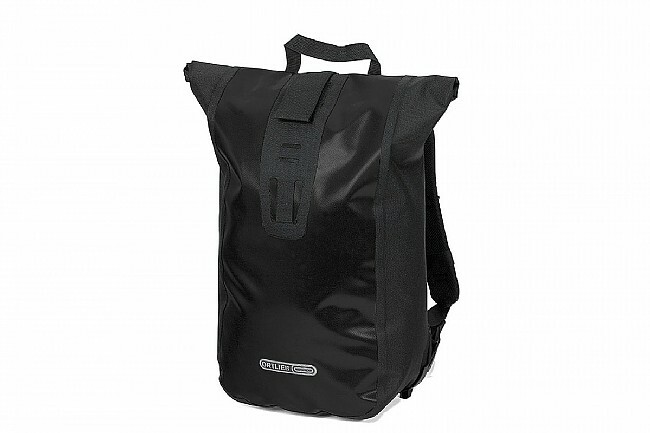 I use the Ortlieb Velocity Backpack on my daily commutes to and from work. 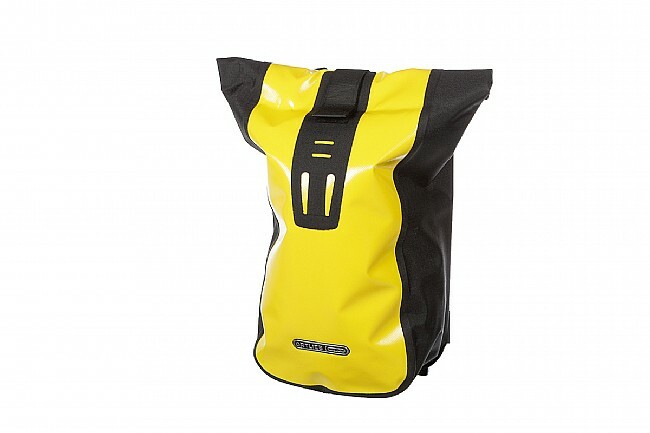 A well constructed, water-proof bag is critical to keep your belongings dry during the occasional downpour. The bag is surprisingly roomy despite its smaller appearance. The internal frame offers some rigidity to hold shape without adding weight. My only complaint is I wish the chest and waist straps were easily removable. Other than that, a solid bag built for years of use. I use my Ortlieb Velocity Backpack daily for commuting in the PNW. 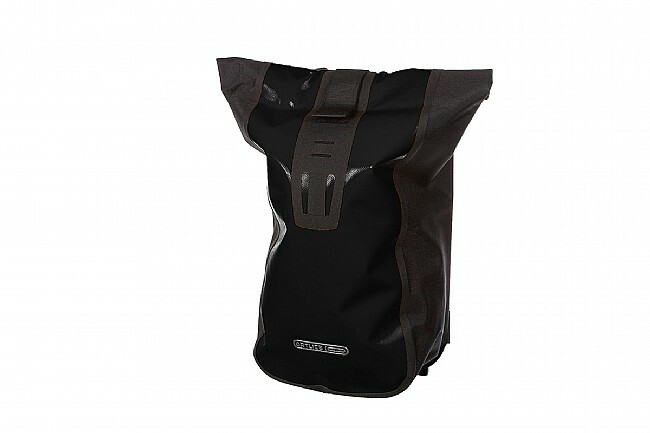 This bag is truly waterproof and weathers daily abuse well. It is super easy to clean, too. 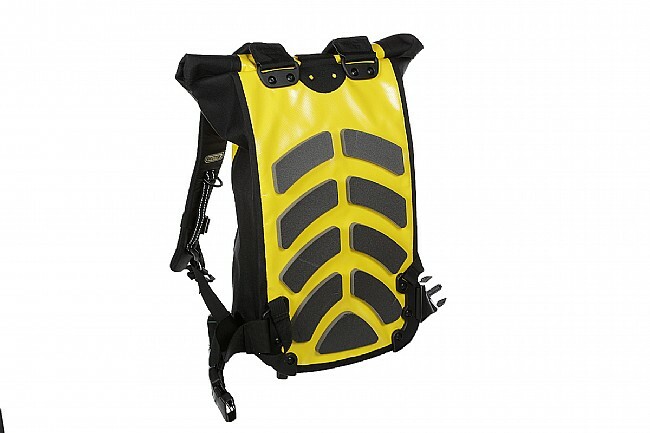 Unlike many other backpacks, the Velocity fits well and comfortably while riding. I expect to have this backpack for years of commuting. I commute year round in PNW and this bag holds up. My only complaint is the Velcro strap which has worn out after two years of use. I contacted Ortlieb to see if it can be repaired but I never heard back. There customer service could be better. Timbuk2 has much better customer service. I added a strap like they use on their panniers and it works well.